All aboard for the excursion of a lifetime as Itzhak Bentov, the celebrated engineer, inventor, and mystic takes you on a tour of the universe, pure consciousness, and all that lies beyond. Using comical sketches, simple metaphors, and his famous wit and humor, Bentov explains the nature of reality, points out the sights in nirvana and the void, and eventually takes you to a meeting with your higher self. Along the way, Bentov illuminates the Kabbalistic symbols, the consciousness of devas, and the nature of the absolute. Ultimately, he shows that the universe and thought are inseparable and that the thoughts of all human beings affect each other and in turn the whole universe—an idea with obvious and far-reaching implications. 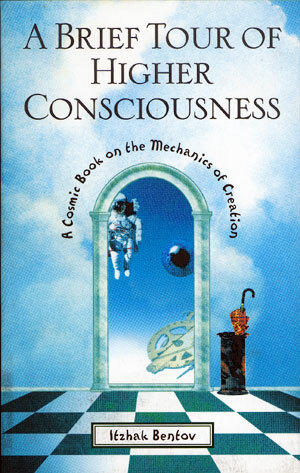 Anyone interested in the inner reaches of the mind, the greater structure of the cosmos, and the spiritual evolution of humanity will find A Brief Tour of Higher Consciousness an informed and delightful traveling companion.